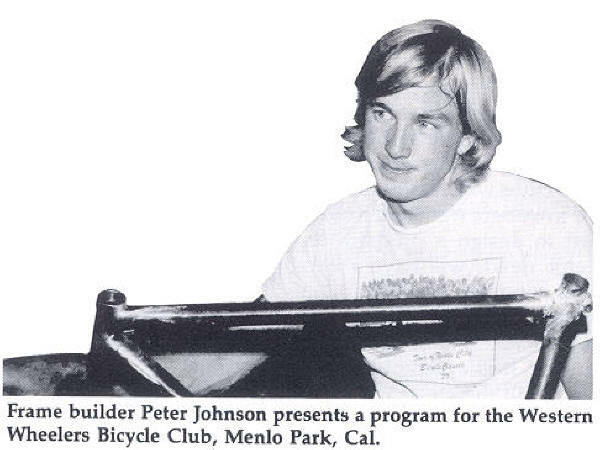 Peter Johnson is a true Renaissance man. He was a top racer in the 1970s, he made bicycles and frames for himself and others. He is a highly skilled & in-demand machinist today with a wide variety of projects, but he retains a love for bicycling. Road bike with extensive component "Drillium" on Chuck Schmidt's Velo-Retro site. A large sized road bike as displayed at Velo Rendezvous in Pasadena. Cirque du Cyclisme in 2005 and studio shots by Ken Toda.